On Friday October 30, 2009 a group of young professional philanthropists known as “Future of Hope” will join City of Hope's fight against women’s cancers with a Halloween-themed benefit called A Night of Mischief at Marquee in NYC. Celebrities are joining Future of Hope’s efforts in raising the awareness of City of Hope and its mission to find cures for cancers and other life-threatening diseases. Appearances will include cast members from hit television series such as Gossip Girl and The City. Lending her considerable clout to the cause will be Tinsley Mortimer as she films her new CW reality series “Empire State”. This new reality show will air this winter chronicling Tinsley’s travels, adventures and causes that include finding a cure for women’s cancers. The CW will be in attendance filming Tinsley and her friends as they join together with New York’s Future of Hope. The evening will be dedicated in loving memory to Amy Salm. 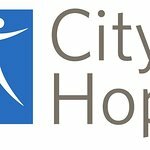 The City of Hope, a National Cancer Institute-designated Comprehensive Cancer Center, is one of the world’s leading research and treatment centers for cancer and other serious diseases, including diabetes and HIV/AIDS. The work conducted at City of Hope is shared with medical centers worldwide, touching the lives of millions of people everywhere, including the New York Metropolitan Area. Tickets are $99 in advance and $120 at the door based on availability. Guests are asked to dress in costume. The night features an open bar with sponsors such as Innocente Tequila, Three Olives Vodka and Manhattan Beer Company. A decadent dessert bar to satisfy even the sweetest tooth comes compliments of the Cupcake Stop and Milk & Cookies Bakery. There will also be a live raffle with over 30 fabulous prizes to be won such as Valentino Handbags, Roundtrip JetBlue tickets, Equinox gym memberships, Private Dinner Catered by Chef Rob of Hell’s Kitchen fame, and Knicks and Rangers Tickets. Spinning all night will be the incomparable DJ NVM. For more information about City of Hope, please visit the official website.